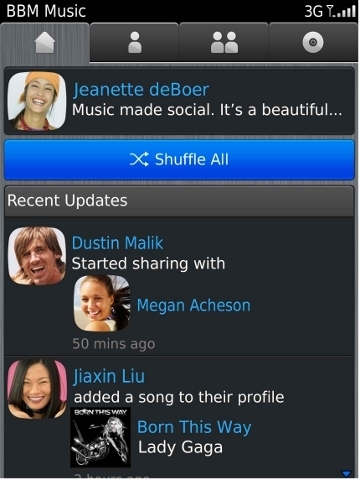 BBM Music now available in the US, Canada, Australia | BlackBerry Blast! Research In Motion announced its BBM Music service is now available in the United States, Canada and Australia. Users can signi up for BBM Music Premium membership, which will allow them to access music and share it with friends using BBM. Users will be able to select 50 songs from a library of millions of songs. BBM Premium will cost you $4.99 per month, after a free two-month trial. Check out the BlackBerry App World for the download which should go live before tomorrow. Music Engraving and Copyists for sheet music publishing.